Scene from The Tempest by William Shakespeare, 1856-1858. 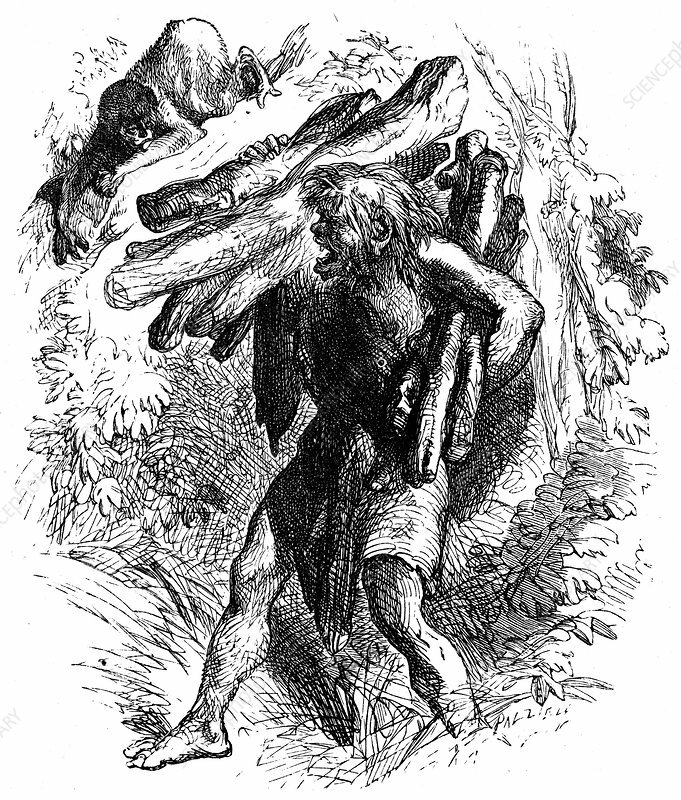 Caliban, the savage, deformed, sub-human creature enslaved by Prospero, collecting wood (Act II Sc II). The Tempest, a romantic drama, was first performed in 1611 and appeared in print in 1623.